A nice mix of traditional, floral and modern motifs makes Four Seasons a fine addition to any room or outdoor patio. Bright and vivid colors, an upscale mix of two different thickness fibers for added texture and reasonable prices make these rugs a sure hit in our assortment. 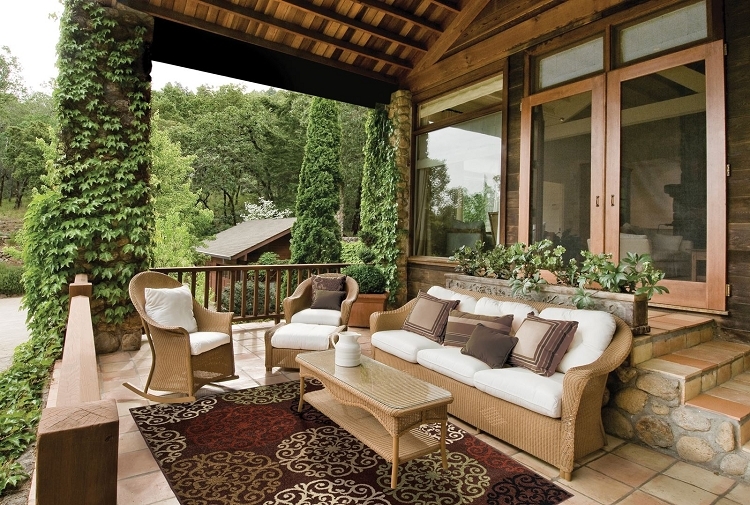 In addition, these rugs are made of durable, easy to care for Heat Set Polypropylene yarns and can be used outside on your porch or patio area. Rectangle 5' 3" X 7' 6"